This Forum, don't miss the opportunity to tell members of your congressional delegation and/or their key staffers about your coalition and what you're accomplishing in the community. 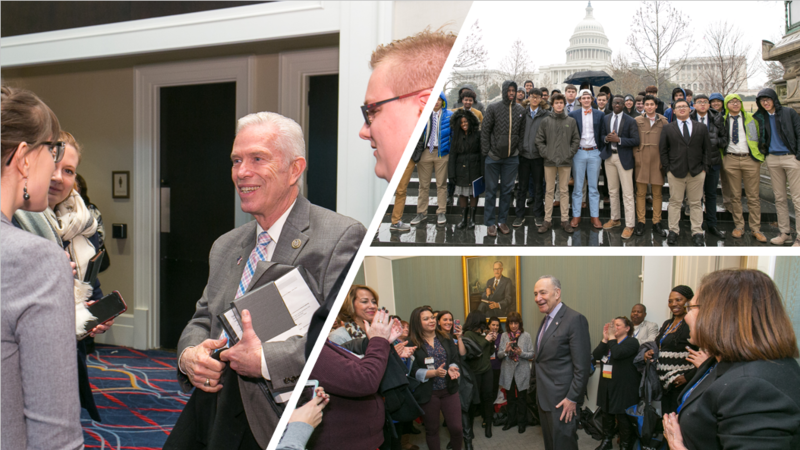 Capitol Hill Day is scheduled on Wednesday, February 6, 2019, and provides Forum participants from across the country with an opportunity to educate policymakers in Congress about the importance of substance use and misuse prevention. At the Capitol Hill Day Plenary and Legislative Update, hear from Congressional leaders and get the latest information on relevant prevention focused legislation. At the plenary, you will hear how the Administration and Congress are shaping substance use prevention nationally. Tuesday night also offers you time to meet with your fellow state coalition members/leaders to coordinate messages and organize Capitol Hill Day. If you have any questions, please contact Alex Mahoney, Public Policy Associate at 703-706-0560 ext. 244 or amahoney@cadca.org.